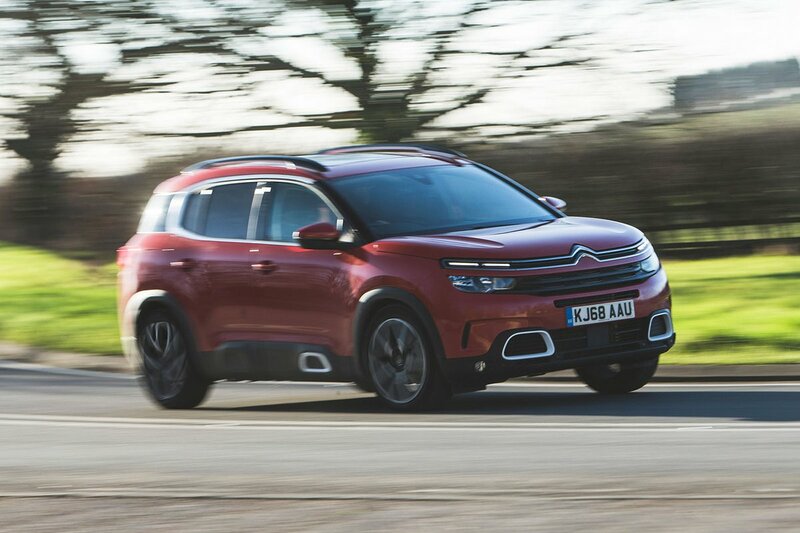 Citroën C5 Aircross Running Costs, MPG, Economy, Reliability, Safety | What Car? The C5 Aircross looks relatively competitively priced, even next keenly priced class rivals such as the Mazda CX-5 and Skoda Kodiaq. In fact, compared with the Honda CR-V, it’s quite a bargain. It’s too early for us to be able to confirm PCP and leasing costs at this stage, but there’s no reason to think that these won’t be in the ballpark, too. In terms of resale values, the C5 Aircross is likely to be middle of the road, with the CX-5 holding onto more of its value after three years. Where the C5 Aircross is likely to be up with the top of its class is fuel-efficiency. The 1.6-litre petrol proved remarkably economical, judging by the trip computer. And, emitting 131g/km of CO2, it’s substantially less polluting than its rivals – great for company car drivers. 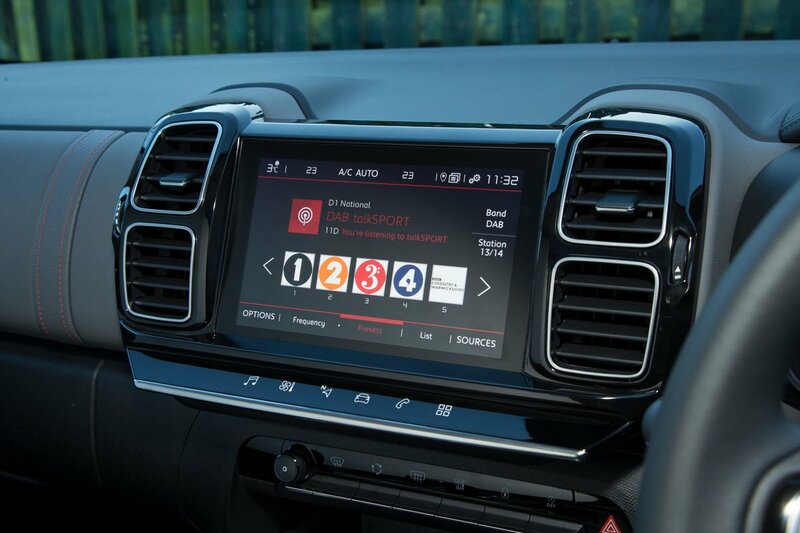 There are just three trims in the C5 Aircross range, which makes things easy to understand. The entry-level Feel makes the most sense to us, playing to the car’s ethos of low-cost motoring while still feeling decently equipped. Along with a long list of infotainment and visibility tech, you also get electric windows front and rear, automatic lights and wipers, dual-zone climate control and 17in alloy wheels. Mid-range Flair adds some useful extras such as front parking sensors, a rear camera, lumbar adjustment and sat-nav, but avoid the top Flair Plus, which is too pricey to justify. 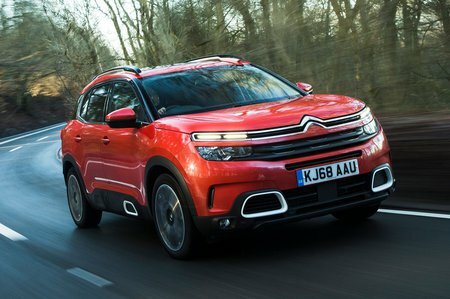 It’s far too early to rate the C5 Aircross for reliability, but we can tell you how Citroën does comparatively against other manufacturers. Sadly, it's not that well, with the French brand lurking in 25th place out of 31 in our most recent Reliability Survey, below rivals such as Honda, Mazda, Skoda, Kia and Hyundai and one place below sister brand Peugeot. You do get a two-year, unlimited-mileage warranty from Citroën, at least, and an additional year’s cover provided by the dealer, but both Kia’s and Hyundai’s cover soundly beats that. All C5 Aircross models get an alarm, an immobiliser and additional security features such as drive-away door locking as standard. You also get a camera in the windscreen that will record and save footage from an accident, but which you can switch off if you prefer. In terms of safety, the C5 Aircross is on the ball, with active safety features including a driver attention alert, blindspot monitoring, lane departure warning and automatic emergency braking. And if you do end up involved in an accident, there’s an emergency SOS call function to assist you. The C5 Aircross hasn't yet been crash tested by Euro NCAP, but as a pointer, it’s essentially the same under the surface as the Peugeot 5008 which received five stars back in 2016. We reckon it’s fair to expect solid scores across the board. It doesn’t really do sharp handling, it’s not quite big enough to match the best in class for practicality, nor does it come with seven seats. Yet don’t overlook the C5 Aircross if those limitations don’t worry you, because it has a lot of other things going for it; its ride is superb on most roads, it cruises along supremely quietly, it has a reasonable purchase price and very reasonable running costs.